Following Eve smart motion sensor, Elgato has released another Apple HomeKit enabled accessory: Eve smart light switch. Now you can control your lights with Siri. The Eve smart light switch measures 120 x 75 x 35mm. As we can see from the images, it shows off a sleek and minimalistic appearance in solid white, so you won’t worry about it affecting the overall interior style of your room, and compact and slim design allows it to easily replace your existing single pole switch. The light switch has the ability to transform any single or multi-bulb setup into an intelligent lighting system, so you don’t need to change your existing bulbs. 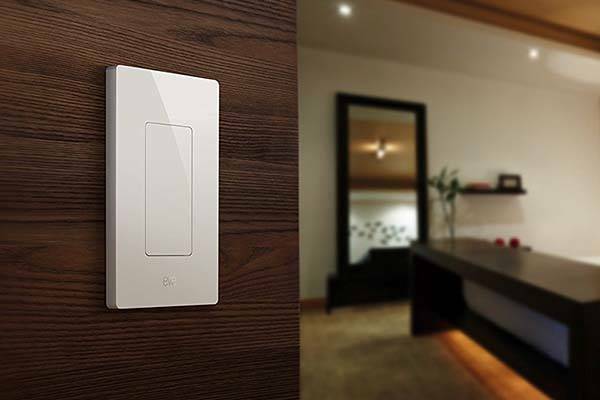 Using built-in Bluetooth technology, the light switch wirelessly connects with your iPhone, iPad or iPod touch with iOS 9.3 or later, so you can use your iOS device to remotely control your light system or set different scene modes based on time. Just tapping its touch panel, you can easily activate the scene mode which you’ve set via its companion app. The smart light switch supports Apple HomeKit, so you can control it with your voice. Using its app, you can also group multiple Eve light switches in order to control all of them without lifting a finger or roaming your home. Using a fourth-generation Apple TV with tvOS 9.2 or later, the smart light switch also allows you to control your lights away from home. 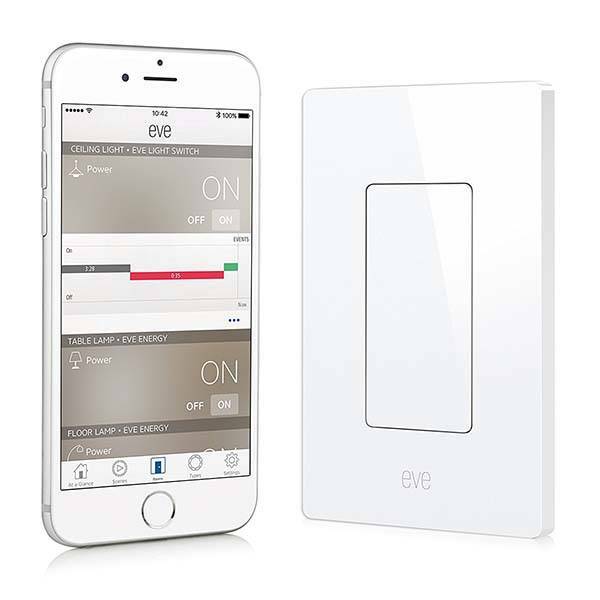 Elgato Eve Apple HomeKit enabled light switch is priced at $49.95 USD. If you’re interested, jump to Elgato official site or Amazon for its more details. Additionally, don’t miss Switchmate smart light switch and more cool stuff by following tags.